George Windle is my grandfather. He married Elizabeth Froggatt. My mother was Gladys Windle, cousin to Doreen. Great photo. Whose wedding is this? I recognise a number of people in the photograph but not the bride and groom. 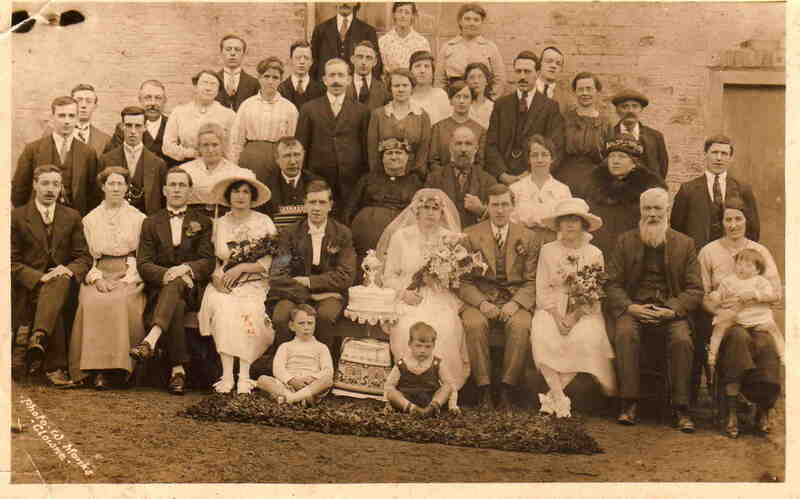 The guy to the left of the groom wearing a bow tie is my grandad George Windle. The guy to the right of the bride is Billy Windle. Nellie And Maggie Windle are also in the photograph.